Providence, R.I. – Mim L. Runey, LP.D., has assumed the position of chancellor of Johnson & Wales University (JWU), effective today, October 1, 2018. Dr. Runey has been serving as JWU president of the Providence, RI campus and chief operating officer for the university system since 2011. She becomes the university’s third chancellor in its 104-year history. In January 2018, JWU Chancellor John Bowen announced his retirement, effective December 31, 2018. A formal, nationwide search commenced with the JWU Board engaging the services of R. William Funk & Associates, an executive search firm headquartered in Dallas, Texas, that specializes in higher education. Bowen assumes the role of chancellor emeritus today, October 1, until his retirement. 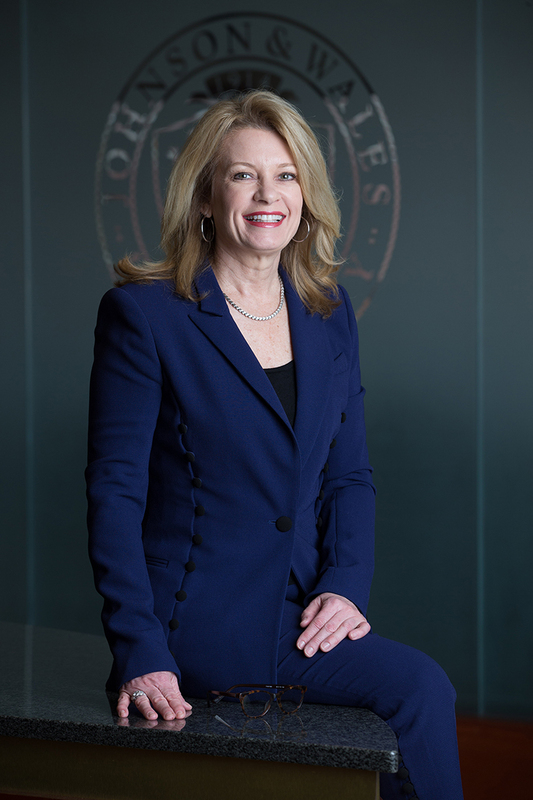 “The Board was tasked with choosing the most highly qualified, talented and experienced individual to lead Johnson & Wales University into the future. From the strong pool of candidates that emerged, the Board unanimously agreed that Mim Runey is the right leader at the right time to take Johnson & Wales to new heights,” said Chairman Hance. “I am honored to have been chosen to lead this institution dedicated to students’ intellectual and personal growth during this time of rapid change in higher education,” said Dr. Runey. Dr. Runey joined Johnson & Wales 29 years ago at its former Charleston, South Carolina campus. In 2006, her family moved north so she could assume the position of senior vice president of institutional planning at the Providence Campus. Two years later, her responsibilities increased as the presidents of the branch campuses became her direct reports and she oversaw the campuses’ operating budgets. Her work as a member of the senior leadership team through her presidency at the JWU Providence Campus has resulted in a significant increase in the university’s retention and graduation rates, as well as selectivity in enrollment, and institutional aid has more than doubled. In the past 10 years, JWU has been recognized by the President’s Honor Roll for Higher Education Community Service. These achievements have contributed to Johnson & Wales’ rise in US News & World Report’s Regional North rankings from 84 to 64. Dr. Runey holds a Doctorate in Law & Policy from Northeastern University, a Master of Arts in Management from Webster University and a Bachelor of Arts in English from Clemson University. She is a member of a subcommittee of the National Association of Independent Colleges & Universities (NAICU) and a board member of Norwich University in Vermont; she currently is the chair of the Rhode Island chapter of AICU (Association of Independent Colleges & Universities). In April of 2018, Dr. Runey assumed the presidency of the Rhode Island Public Expenditure Council (RIPEC). Johnson & Wales University is a dynamic, four-campus university with the JWU chancellor’s office based at the university’s flagship campus in Providence, RI. Founded in 1914, Johnson & Wales University is a private, nonprofit, accredited institution with more than 14,000 graduate, undergraduate and online students at its four campuses in Providence, Rhode Island; North Miami, Florida; Denver, Colorado; and Charlotte, North Carolina. An innovative educational leader, the university offers degree programs in arts and sciences, business, culinary arts, design and engineering, education, health and wellness, hospitality, nutrition and physician assistant studies. Its unique model integrates arts and sciences and industry-focused education with work experience and leadership opportunities, inspiring students to achieve professional success and lifelong personal and intellectual growth. The university’s impact is global, with alumni from 124 countries pursuing careers worldwide. For more information, visit jwu.edu.